Nogales, AZ, December 6, 2017 – Divine Flavor, the family-built, grower-owned fresh produce distribution company, is proud to announce a $7.5 million capital investment for the expansion of its high-volume 100,000 square foot distribution center at its headquarters in Nogales, Arizona. The investment will fund an additional 70,000 square foot warehouse with seven brand new cold rooms, FDA-approved inspection area and sophisticated repackaging machinery and equipment. The new Nogales warehouse will not only offer much needed extra cold storing space, but also new technology for more innovative solutions in packaging. The expansion will also allow for better inventory control as all products will be at the same location, yielding higher efficiency for the distribution company. Construction work has already started in Nogales and the new facility is set to open its doors in March 2018. It is estimated that about five million boxes of products will be then shipped out on a seasonal basis. Divine Flavor is also working on the development of a new app to help achieve the highest quality standards that will be used on hand-held devices at the warehouse. Divine Flavor is a family-built, grower-owned fresh produce distribution company based in Nogales, Arizona. The company grows and sells a wide range of conventional and organic GMO-free fruit, vegetables and nuts. 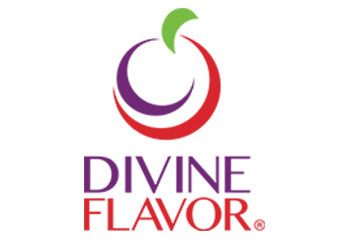 Divine Flavor is a socially responsible actor of the food industry and partners with players to foster a more sustainable food supply chain. Its products can be found in any major food and specialty food retailers in the U.S.